Testimonials & Reviews - San Antonio, TX: Oak Hills Women's Center, P.A. Oak Hills Women's Center, P.A. always appreciates feedback from our valued patients. To date, we’re thrilled to have collected 28 reviews with an average rating of 4.79 out of 5 stars. 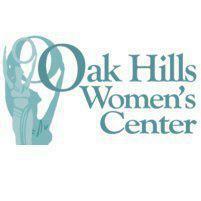 Please read what others are saying about Oak Hills Women's Center, P.A. below, and as always, we would love to collect your feedback. The wait time is fast and speedy! Always personable and informative. I've been coming to this clinic for years. Always helpful. This is an excellent practice! They are caring, organized, prompt, and thorough. I have been at this office for over 30 years. My health is important to me. I appreciate the great and candid medical advice Dr. B Cavazos offers me. His nurse, Angie, is awesome as well. They encourage to continue to take care of myself & make healthy choices!! Thank you both! Sarah made me comfortable and made sure any questions or concerns were addressed. She’s great! This was a routine prenatal visit with Dr. Allison Cavazos. However, every time I come in I feel like I am her only patient. She was really swamped on this particular day and she still took her time with me and I didn't feel like she was rushing me at all. I love her and her staff and should there be a baby #2 in the future, I wouldn't want anyone else as my doctor! Dr. Cavazos did my surgery in August. He made the whole process as easy and understanding as possible. He took time to answer any questions I had and made be very comfortable from the first visit. I thank the Lord that I was directed to Dr. Cavazos. He and the rest of the staff have been wonderful. The office staff is always friendly and concerned with making sure my pregnancy is going as planned. I love Dr. Allison Cavazos but today the wait time was over 30 minutes. There was a patient that was late and they still got her in. The receptionist out of curtesy should at least let you know if they are running late. Dr. Cavazos and her staff are extremely professional and courteous. Dr. Allison Cavazos she's awesome!! Everyone in the office is so sweet, and very helpful! I'm genuinely happy that they take good care of me as well as other patients, they build a personal connection and has always made me feel comfortable. Dr. Allison Cavasos is very attentive. She cares about my concerns, giving me answers and future plans. I am very happy with Dr. Cavasos and would recommend her to anyone looking to be in good hands. Thank you Doctor for all you do.